In the American justice system it would be guilty, but in the animal world, a mountain lion remains a free cat after sneaking into the Los Angeles Zoo and reportedly killing a koala. Caretakers at the LA Zoo in California were horrified to find the remains of the missing koala named Killarney, which was reportedly mauled by the 130 pound cougar known only as P-22, according to the zoo’s director, John Lewis. Went after the only Australian animal that wouldn't eat it. “The evidence is circumstantial. We don’t have any video of it taking the koala. We can’t say 100%,” Lewis told The Los Angeles Times on Thursday. Staff monitoring CCTV footage discovered the sneaky feline, who is often spotted prowling around Griffith Park, slipping into the zoo’s enclosure for the first time a month ago. Staff found a puff of fur belonging to the missing marsupial before discovering its remains 400 yards from the koala enclosure on March 3. 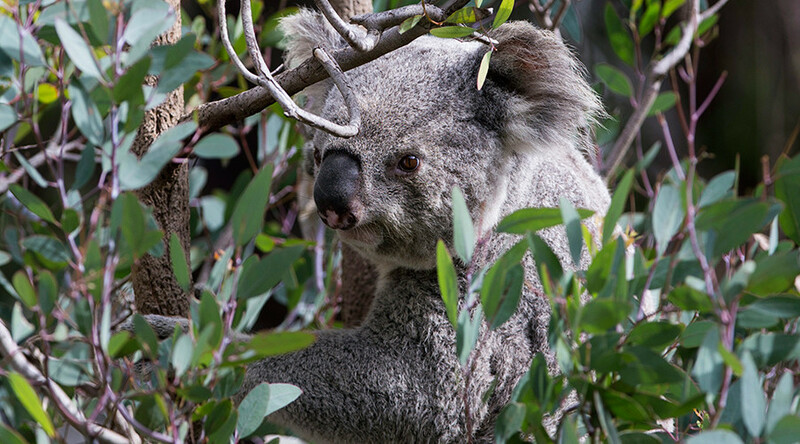 The 14-year-old koala was last spotted in its enclosure, situated near the eight-foot high fence surrounding the park. It’s not the first time P-22 has hit the headlines. Last year, the cougar decided to wander out of Griffith Park and squat under a home in the trendy neighborhood of Los Feliz, 'cause all hip cougars know the 90027 is where it's at.